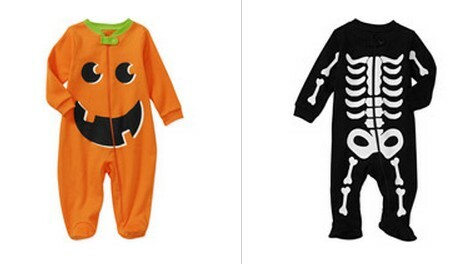 Newborn Baby Halloween Sleep n Play just $4.97! You can currently get this cute Newborn Baby Halloween Sleep n Play for just $4.97 at Walmart.com right now. Available in pumpkin or skeleton. 700+ FREE Pumpkin carving patterns. Lots of DIY Halloween Costumes Made with Tutus. Easy Halloween party food ideas. 15+ DIY Baby Halloween Costumes (plus more for toddlers and little kids! ).